No need to hunt down a screw-driver if you adorn your case with these thumbscrews. 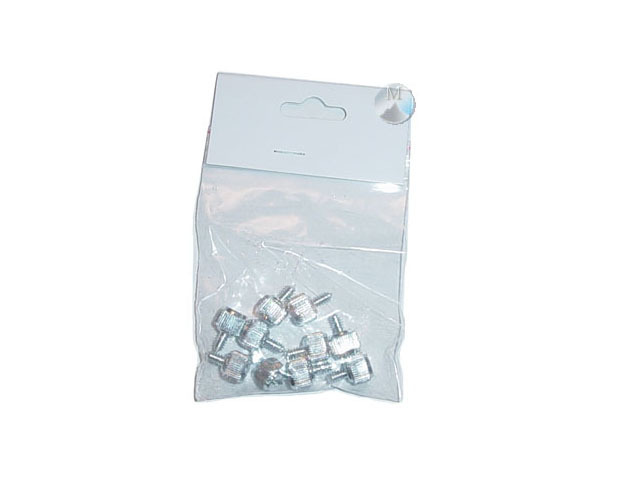 They have a standard 6/32 thread allowing them be used in exchange for your standard case screws. What's great about these thumbscrews is that they also give you the option to use a screw-driver for additional security or when applying them into those hard to reach areas.